June 1st, 2015, I published “UK’s Independent Newspaper Blows Lid Off Vaccine Damages” only to find that investigative reporter extraordinaire Sharyl Attkisson published her article “Government Wipes Recent Vaccine Injury Data from Website” the day before, May 31st. What a truly exciting coincidence, I think, insofar as it seems unforeseen circumstances were plotting to expose the true dichotomy about vaccines and the horrific, life-long and life-endangering damages they cause: vaccine adverse reactions. What I find absolutely stunning about Sharyl’s reporting is that she apparently is fearless in laying out the skullduggery involved with the feds deliberate actions, which seem to be efforts to ‘salvage’ a sinking ship: vaccines—due to their adverse reactions reporting and claims settlements by the U.S. Vaccine Court. I wonder what the feds will do to skew the VAERS reporting system where U.S. citizens report adverse reactions. 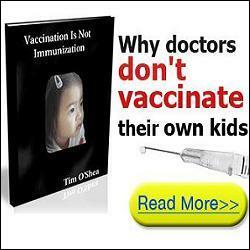 However, I would not like to take any ‘thunder’ away from Attkisson’s excellent work, so I strongly advise my readers to take the time to read her full report here and savor what she reveals: the U.S. feds probably are running scared about how many vaccine damage claims have been paid to damaged vaccinees, especially recently, which is not a favorable trend for Big Pharma’s ‘sacred cows’. HRSA says vaccine makers had no influence over the decision to revert to older data. The agency said it did so to synch up with a statistic the Centers for Disease Control (CDC) provides for the same chart that is only current through 2013: the number of vaccine doses distributed in US. I’ll bet you dollars to donuts that vaccine makers HAD influence over the decision to revert to older data. Furthermore, what kind of cockamamie statistical reporting uses ‘older data’ if not for the prime purpose to skew information? That reminds me of the CDC’s statistical information games about vaccines causing autism , the skewing of autism-vaccine data for ten years or so as documented by the CDC’s William Thompson, PhD, , and the apparent misinformation given under oath during congressional hearings by another CDC PhD, Coleen Boyle . When will Congress wake up and do what citizens send them to Capitol Hill to do, and that is, exercise OVERSIGHT that’s not influenced by vested interests—in this case, Big Pharma? Since the feds have decided to obfuscate [substitute ‘white lie’] about vaccine damage reporting, we can expect that reporters like Sharyl Attkisson and I will not be able to access ‘close to reality’ vaccine data. What a tragedy for everyone in the USA! b. A political philosophy or movement based on or advocating such a system of government. Some examples that point toward that system of government are Monsanto’s chief lobbyist Michael Taylor, now FDA’s Deputy Commissioner for Foods  and Monsanto’s former corporate attorney, who now is a U.S. Supreme Court Associate Justice, Clarence Thomas . I’d like to offer a word of caution. Expect more ‘sanitizing’ to come in all areas affecting our lives. It’s not going to make things better, easier or clearer, especially when transparency is handed over to the string-pullers. Be the first to comment on "Feds Sanitize Vaccine Injury Reporting BIG Time"